There is an increased number of restaurants around the world that are already using the help of automated restaurant machines. At the front-of-house, customers are placing their orders on touchscreen pads and in the back, self-sufficient machines are prepping and completing the orders. On the upside, this can potentially do wonders for speed-of-service and bring about significant operational and customer benefits. Specifically, during the busy lunch hour, eateries will able to fulfill and churn out orders much quicker and more efficiently, catering to a plethora of satisfied customers. What About Robots In the Dining Room? Notwithstanding the fact that the quick-serve and fast casual sector will likely benefit from utilizing machines in the kitchen and that robots will become a reality in many of these establishments in the near future, having machines service customers in the dining room may be less of a reality at this point. There are still a lot of glitches to overcome. Thus far, we have seen that robots can slice, cook, wrap, and serve orders but what they can not yet do is make changes to menu requests. 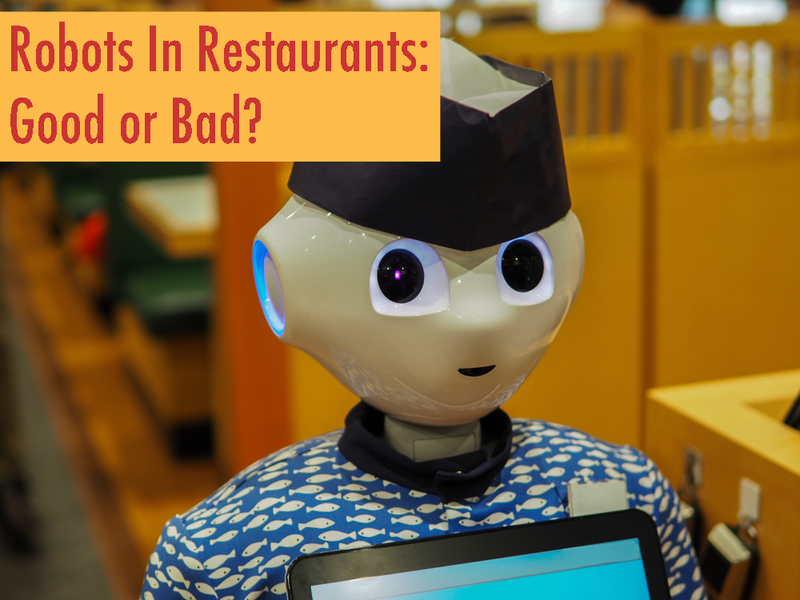 For example, if customers want to modify their order by requesting a different cooking temperature, adding or substituting sauces or if they want to order something off the menu, robots are probably not yet equipped to handle such challenges. And what about good old-fashioned human interaction? Some customers may not yet be ready to give up that aspect of customer service like the smiling, tip eager server who refills their iced tea. Controlling labor costs is not an easy task in the restaurant industry. Many restaurant corporations have begun to invest in technological replacements such as fully automated systems in order to lower labor costs and increase efficiency. Perhaps the restaurant industry is reaching a turning point and entering a new era. What are your thoughts? Would you like to be serviced by a robotic device to potentially cut down on wait time and lower costs of your dining out experience? As a restaurant operator, are you considering adding automated machines to your restaurants and are you considering the impact this change will have in the areas of service and labor? What steps are you taking to cut down on labor costs and increase sales? Are you using any new machine or service that has reduced your costs?